RIVERSIDE, CA--(Marketwire - September 21, 2010) - Capital Investment Group, an investment company based in California, is planning to team up with other American based companies to build power plants in Africa, starting with Nigeria. Nigeria needs a minimum of 150,000 megawatts of electricity to power both domestic consumption and the economic activity of its 150 million citizens. That's a potential export business of $150 billion for American power plant manufactures. Capital Investment group has been working with both the Federal Government of Nigeria and some state governments to build 4,000 megawatts of power across various states and localities in Nigeria for the last one year. Nigeria needs to invest up to $90 billion in infrastructure per year for the next several years and the recent deregulation of the Nigerian power industry creates an opportunity for American companies to penetrate the huge Nigerian market. According to Goldman Sach's head of economic research, Jim O'Neill, "based on Nigeria's current growth, most companies will look back with regret in 10 years and say, why the hell didn't I invest in Nigeria." That is why Capital investment group is very bullish on the African market and specifically Nigeria. Says Toyin Dawodu, the Managing Partner of Capital Investment, "most of the countries in Africa have been in darkness for too long, and it has become my obsession to do something about it. I intend to kill two birds with one stone, create jobs in America and provide power for Africans in addition to creating local jobs." 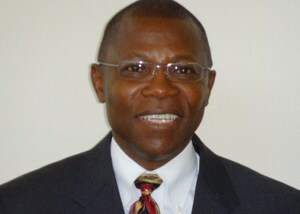 By teaming up with American power plant manufacturers, Dawodu hopes to create up to 1,000 jobs in California and other parts of the U.S. Capital Investment's plans to build 4,000 megawatts of power for Nigeria is a $4 billion worth of business over the next 3 years and can create thousands of jobs for Americans and Nigerians. "Africa is the next frontier in consumer consumption growth over the next 30 years, as its population grows to over 1 billion, with a $1 trillion economy, and over 350 million consumers qualifying for middle class. Therefore, it is imperative for American companies to look outward towards Africa for their next gold rush," says Toyin Dawodu.